February 5 is the beginning of “just say no to PowerPoint week.” If you work with techno-enthusiasts who plan to observe the holiday, you might need to get your iPad ready with some other options. In the process, you might even discover that some apps that are better than PowerPoint. 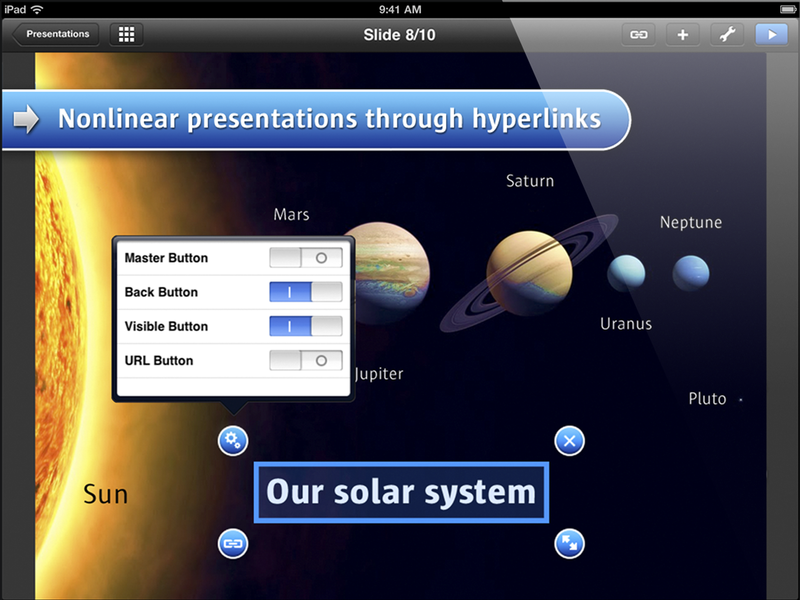 Here are the top five iPad apps that can serve as PowerPoint alternatives. It’s no surprise that Apple offers its own alternative to PowerPoint. 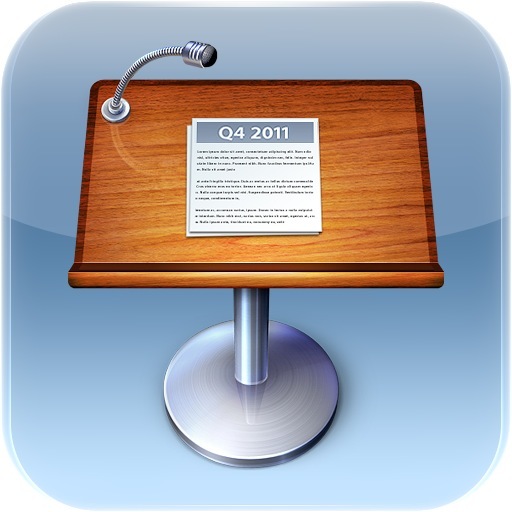 Keynote, also available on the Mac, is a fully featured presenting tool that makes PowerPoint look like it was last updated in 2004. You’ll find that the transitions are much smoother and better looking than PowerPoint. There are also some very well-designed templates included, though it would be nice to see more. One drawback—you’ll either need to edit them on your iPad or buy a Mac. Prezi is a completely different way of thinking about presentations. Rather than creating individual slides, you use a large canvas with nearly infinite zooming abilities. Your “slides” appear as the screen zooms in and out of the static image you created. The system works well and it’s a great chance to show off that you were smart enough to find a completely new way to show presentations. Best of all, Prezi is free. This app can do what you would expect of a typical presentation tool, including working with images, video, and sound. The best feature of this app is that you can add hyperlinks to individual buttons or text. In other words, you no longer have to move through slides sequentially. This tool is perfect for sales presentations or educational diagrams. 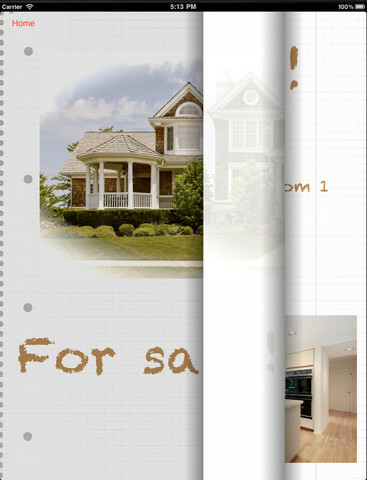 Presentation is mainly designed for sales teams and provides a number of pre-designed templates. The app lacks some features and the ability to customize your layout, but it is an excellent way to create presentations quickly and simply. It can also be used to create flyers, greeting cards, or other promotional materials. This app has a very severe limitation along with an impressive feature. The limitation is that you can only show a PDF. That’s right—no transitions, exciting animations, or graphs that build. However, the feature that nearly makes up for it is that you can wirelessly control up to 15 other iOS devices running Conference Pad. 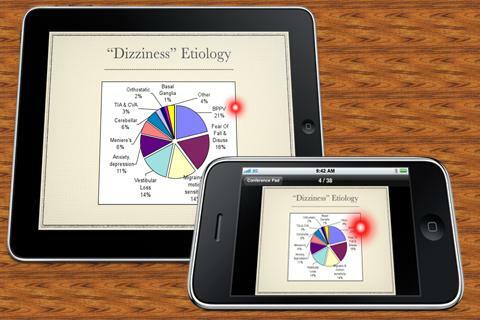 If you hold your finger on the screen, a laser pointer appears, both on your iPad and on all of the connected screens. Still, there is a significant drawback. All viewers have to have an iOS device with Conference Pad installed. At $4.99, that might be a tough sell to everyone at your next meeting. Have you tried out any of these apps? What other Powerpoint alternatives have you tried out lately? Let us know in the comments. Heya Greg, I’ve been so dependent with Powerpoint when presenting reports to managements. I didn’t knew that there are apps like you have cited for iPad. I think I will try Keynote first. I’ve been surfing on-line more than three hours as of late, but I never found any attention-grabbing article like yours. It’s lovely price sufficient for me. Personally, if all website owners and bloggers made just right content as you probably did, the web might be much more helpful than ever before. Thanks Kittu! Lately I'm all about Prezi. It really makes your presentations pop! Wow! This is pretty cool.. Every year the technology is getting up.. New apps is being made for the cellphone.. great! Nice list. I love the presentation and conference apps. You can present your paper work in meeting and conference. Aside from that, you can easily know what the certain type of presentation your clients wanted. PowerPoint nowadays is starting to get boring and the features are just the same. All these iPad apps are really great. I will download any one of these application for my iPad so that I can make the power point presentations easily. Thanks for sharing the information. Wow Great nice application in ipad, i like that this is a very useful & exclusive, thanks! There is a major drawback to Prezi – you can get too carried away with its zooming and looping capabilities (that are very cool after all) and make half your audience seasick. I've been to many good and bad prezi presentations – the good ones minimize all that stuff. In the same way that too many fancy transitions in powerpoint or keynote just gets boring, so too is the 'less is more' mantra important with prezi. Sounds great! These would be helpful for my presentations in my university! Thanks! I have heard a lot of good things about Keynote. The others look interesting as well.